@ColleenW wrote: Hey, TD, thanks! I'm a little ! I bought the bin and then learned about the 3'x3'x3' rule and then looked at the bin and thought oh, that looks about right! LOL. Oh well. I'm very glad to hear that you have used it successfully and you've confirmed my prediction that it will work fine for a spring "harvest" of compost. Now I'll look for another spot for a true 3'x3'x3'. Most of the rest of the available space in my yard is rather shady, though. Hmmmm will have to think this through. Colleen, keep in mind that a 3x3x3 bin takes a lot of material to fill it. It also produces a lot of compost. It will soon be time for me to collect leaves in the neighbourhood. I noticed yesterday that some leaves are already changing color. Unbelievable. Last year I think I had over 40 bags of leaves. I ended up with a few left over after I filled the compost bins and I am still using those leaves. Before putting the leaves in the bin I run over them with a mulching lawnmower to cut them into smaller pieces. I've also used a weed trimmer in a large plastic garbage bin to turn the leaves into smaller pieces. I started with this thing. 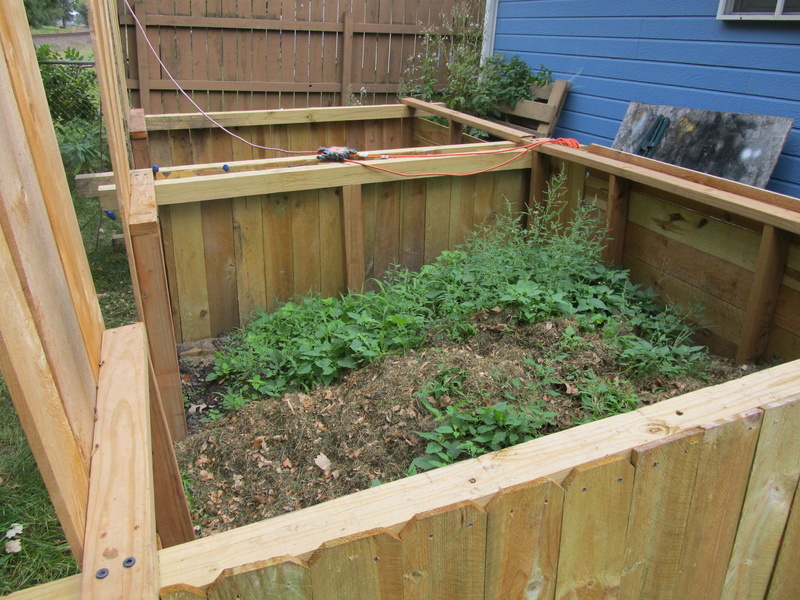 IT worked alright but as you can see the compost can only go so far before it started spilling out. So i built a slightly bigger 2nd one and did not put it upright but on its side. We then moved the dirt and such from the first bin, to the 2nd bin. I made this video a few weeks back now. Hope it helps. I do not turn mine at all.. I do nothing at all but add grass when i mow.. or charcoal once we have a fire. Just for completion factor.. This is what it looks like right now out there. 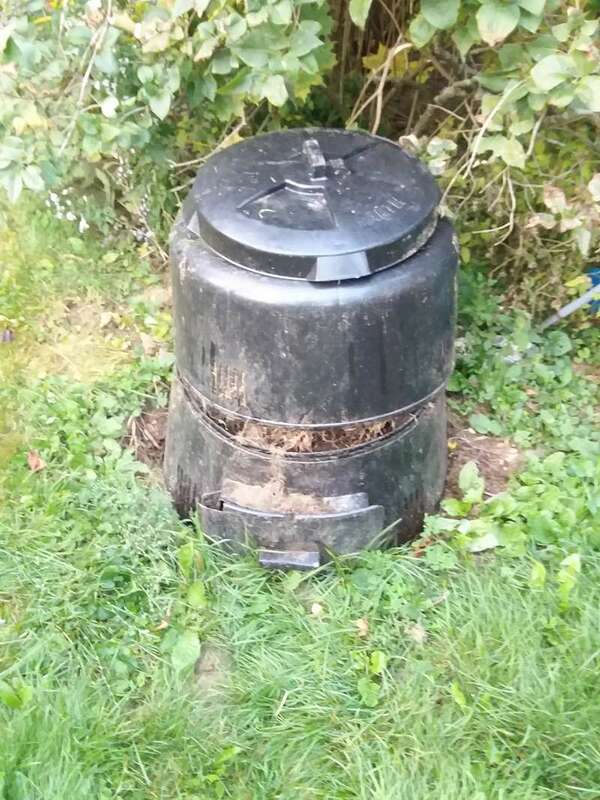 I don't really think this could be considered a compost "bin" , but it contains my compost heap and makes it relatively easy to turn it. It certainly isn't very nice to look at, but only cost $3.00! 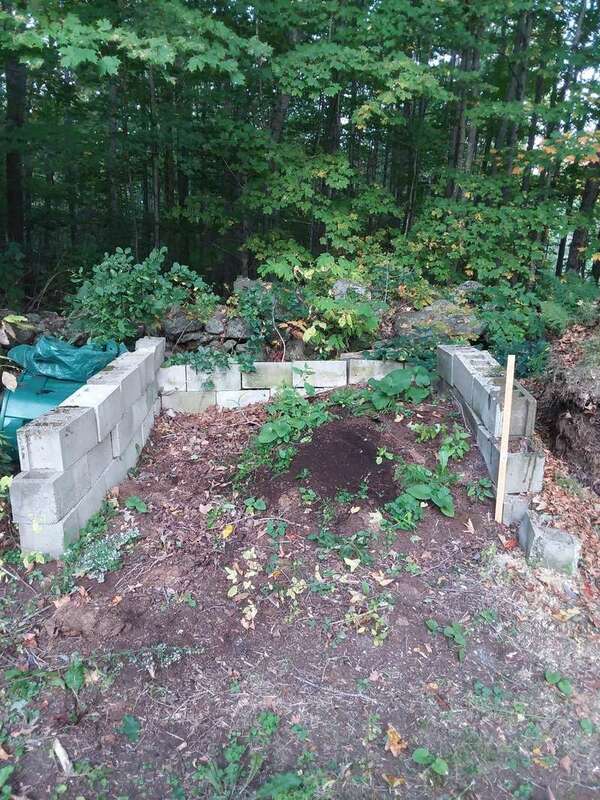 @brianj555 wrote: I don't really think this could be considered a compost "bin" , but it contains my compost heap and makes it relatively easy to turn it. It certainly isn't very nice to look at, but only cost $3.00! Looks like a compost bin to me. @trolleydriver wrote: Looks like a compost bin to me. Having a little time today, as I finished mowing I saw that all my composting places, bins, cages, whatever you want to call them, are just about full. I seem to fill them pretty fast this time of year, and I am getting ready for the big finale, leaves galore! 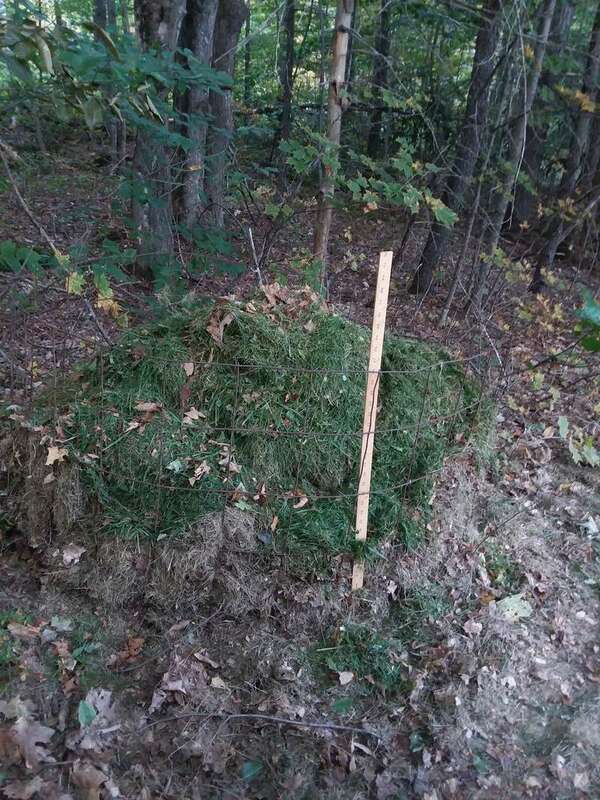 In years past I have had 8 foot tall piles, I might do it again this year if everything works out right. If it stays standing, which it usually doesn't, (unless I go to great lengths to keep it up.) by the middle of next year it is down to 2-3 feet. But I started thinking about what these would look like after the winter, so I will share it with everybody. As soon as my last bed is done I am going to take the little black bin apart, (fix it by wiring it or putting bolts or rivets in it to keep it from separating) and getting all the black gold out of it. Two of the three shown are ready, the first little one and the last one by the cinder blocks. There is a third that I didn't get a pic of, a round with wire about four feet high, there is a good foot of black gold in it. Boy, Rock...you really have that composting thing down pat! Nice! Are those cattle panels containing the piles? Hey CC, I hope you do well as Jose passes by. 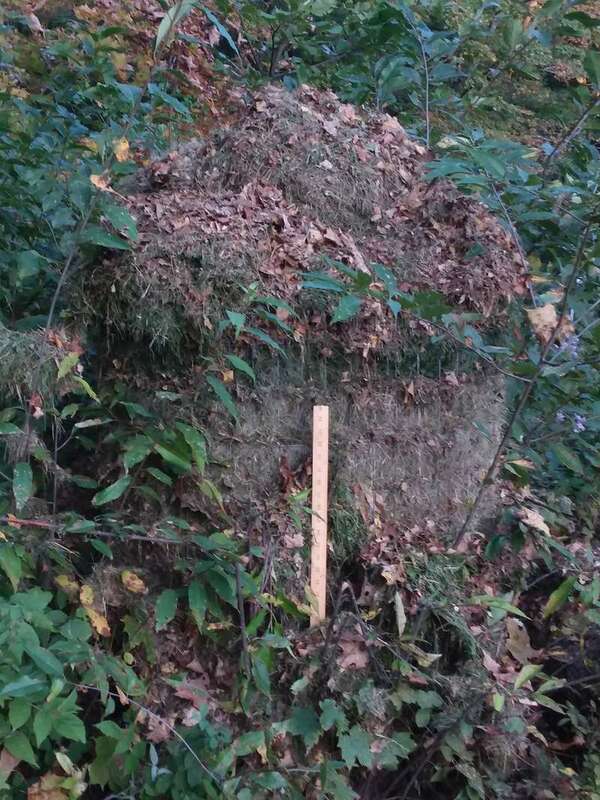 I found a bunch of rolled up 4X4 cement wire, (it is probably called something else, but I have heard it called that since I was knee high to a grasshopper.) It is very thick, but not as thick as a cattle panel, and this was FREE. I have three, four foot tall, and about six feet wide. Since I don't have a bucket loader, it is almost impossible to turn it by hand, but the trick is to make sure it gets some water, if you can cover it with anything plastic it helps too. these will be ready by the end of the summer next year, unless I combine them, which is a lot of work. If my neighbor has the time he will move and mix them for me if I ask. As of tonight, they are all over flowing with future black gold. @CapeCoddess wrote: Boy, Rock...you really have that composting thing down pat! Nice! Are those cattle panels containing the piles? Although I am a rank beginner in gardening, this seems to be the best designed bin I have seen, hands down. I am planning on making it as soon as I collect the materials and tools and somewhere to build it. I am planning on making it 4 ft square however; the 28in might be a typo for 48in is what I'm thinking. Otherook, Did you look through this thread? 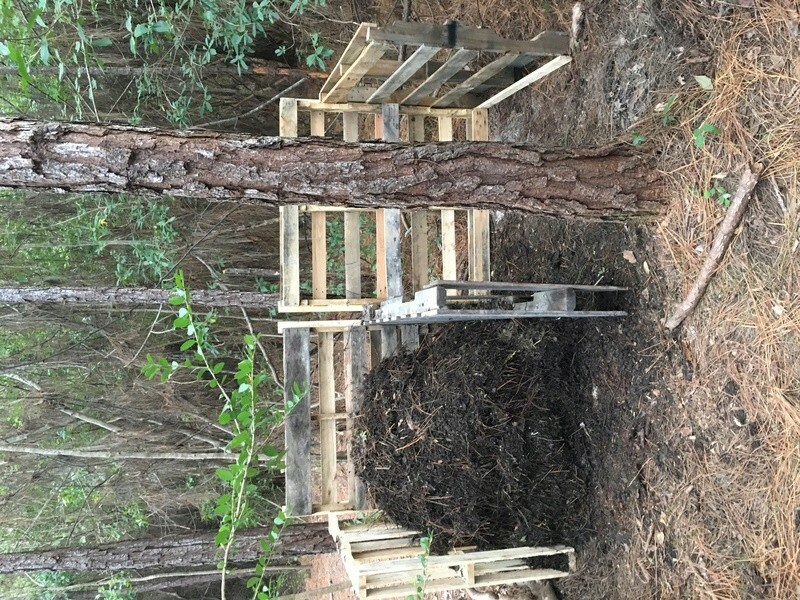 There are photos of compost bins folks have made. 4' x 4' x 4' takes a lot of material to fill! 3' x 3' x 3' is easier. @sanderson wrote: Otherook, Did you look through this thread? 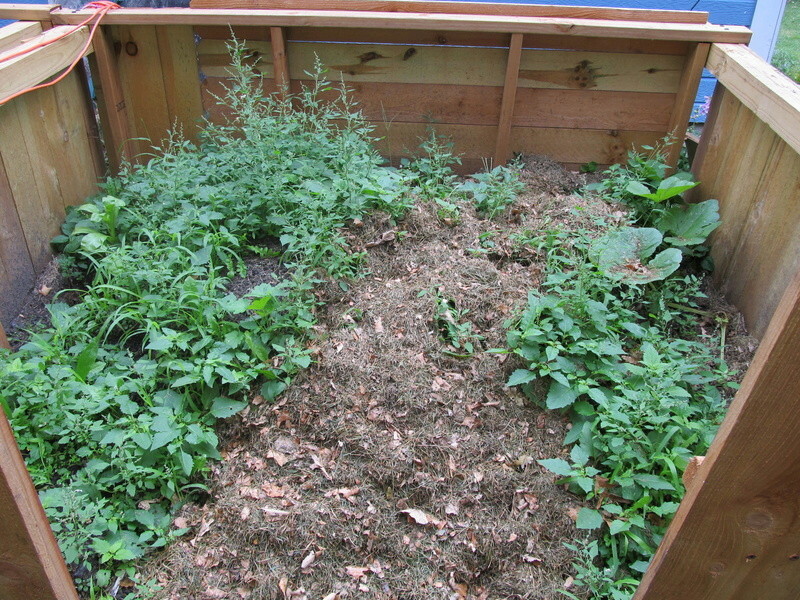 There are photos of compost bins folks have made. 4' x 4' x 4' takes a lot of material to fill! 3' x 3' x 3' is easier. And 4x4x4 (64 cubic feet) is a killer to turn the materials. I struggle turning 3x3x3 (27 cubic feet) of material. I'm right with you, TD! 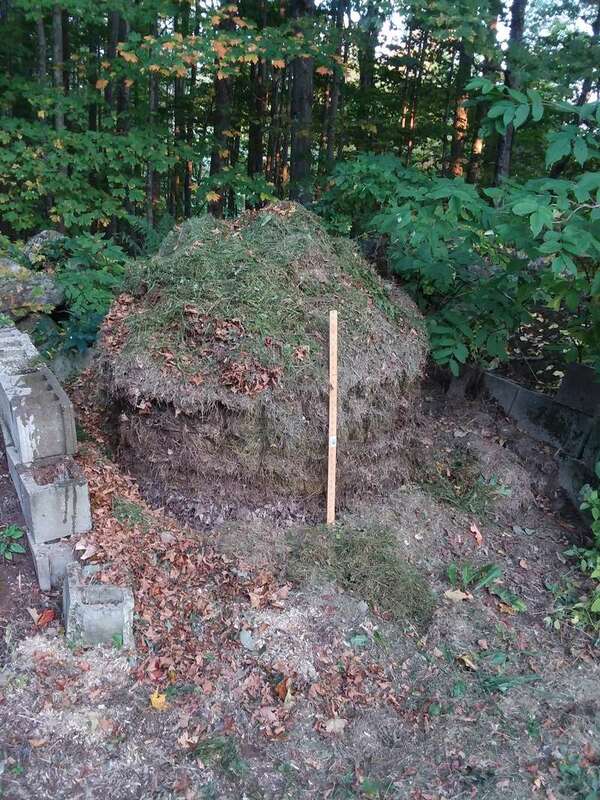 Hey TD and Sanderson, that is why I have so many piles, I don't turn them much, I have it down so one or two are ready at the beginning of each season. Turning piles this big is only easy when my wonderful neighbor comes over with his tractor, and it still makes my back sore the next day. I do like the bins of Otherook's, great idea. Thanks for sharing! Make sure you post some pics of how they do for you. 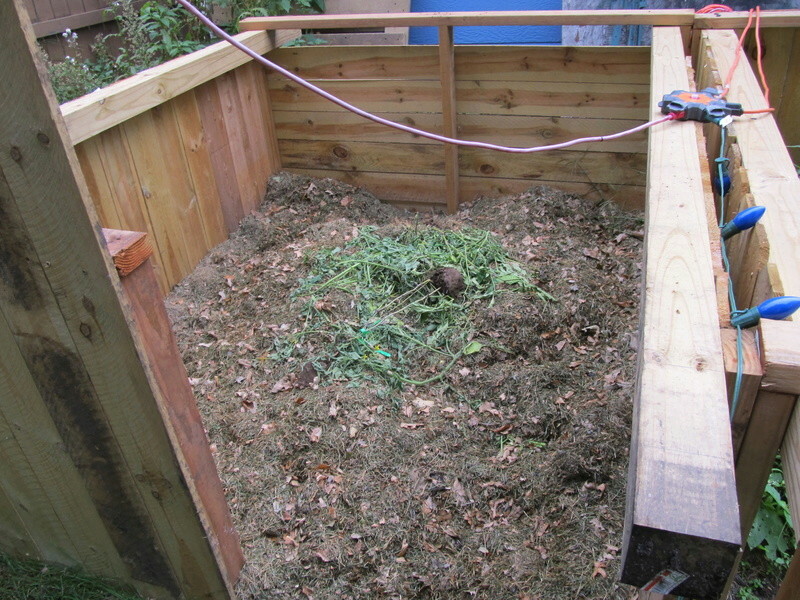 Why do you cover compost bins? 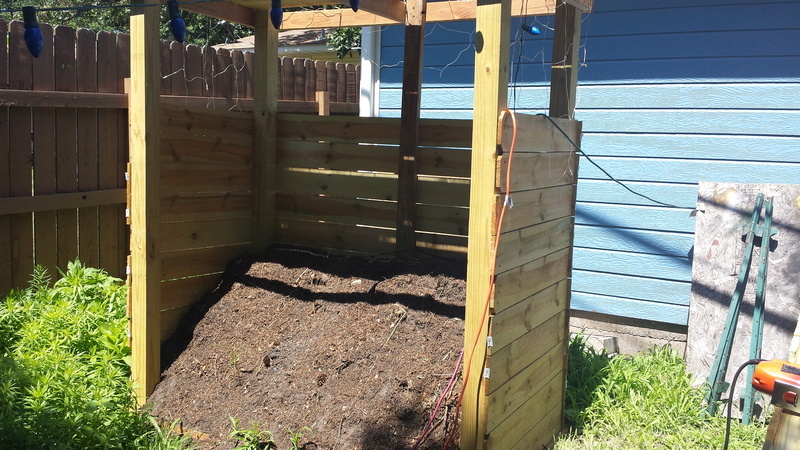 Stupid question, but most people seem to put a cover of some sort on their compost bins. Why? Aren't you also watering them? Wouldn't mother nature water them if you didn't cover them? 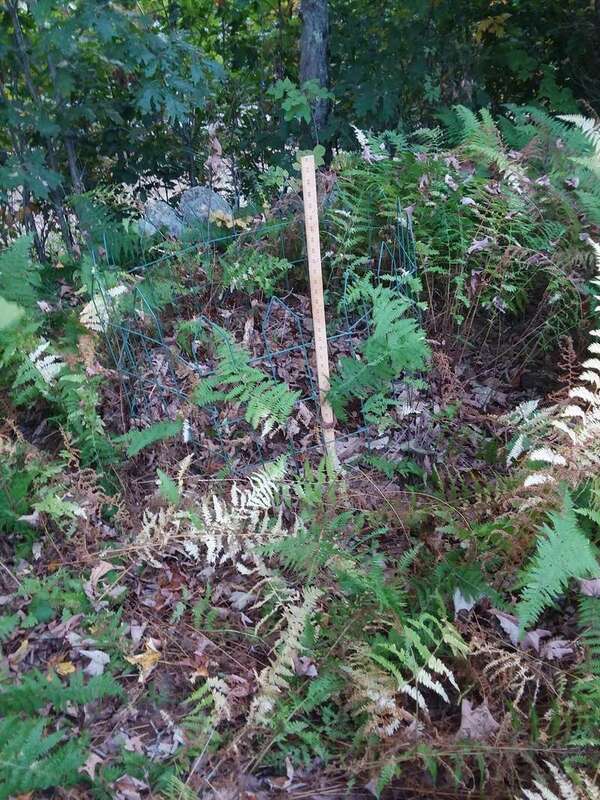 @Beachmom wrote: Stupid question, but most people seem to put a cover of some sort on their compost bins. Why? Aren't you also watering them? Wouldn't mother nature water them if you didn't cover them? The cover stops the pile from getting too wet which would be bad. You want to be able to control the moisture content for best results. The cover also helps to slow down evaporation and drying out of the top layers. A third thing is to keep out animal pests (assuming the pile is also protected on the sides). @trolleydriver wrote: The cover stops the pile from getting too wet which would be bad. You want to be able to control the moisture content for best results. The cover also helps to slow down evaporation and drying out of the top layers. A third thing is to keep out animal pests (assuming the pile is also protected on the sides). 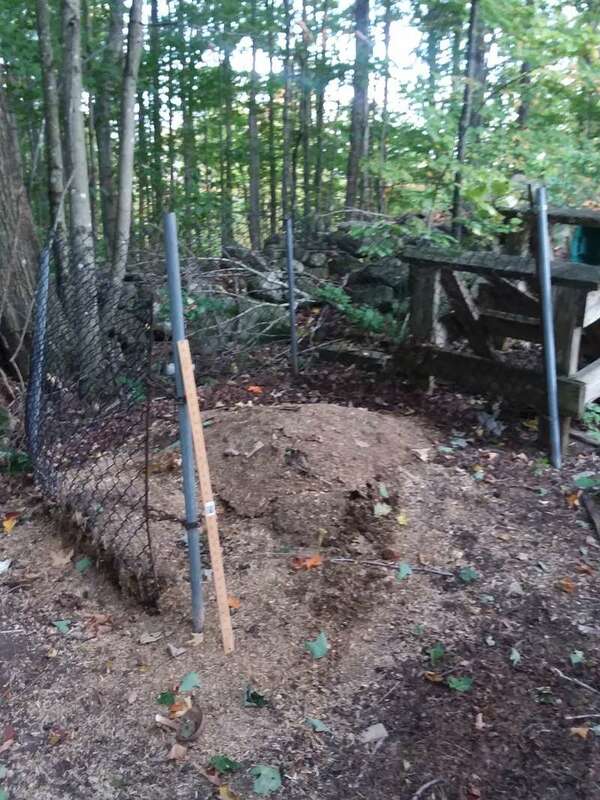 Because of the varmints we have, I can't even have a compost bin - I use compost tumblers that varmints can't get into, and rain doesn't get into the either. Being able to control the moisture is important.